Talking about money at home has long been a taboo subject. But the Great Recession changed that, and now we’re seeing evidence of more open discourse—and maybe even a payoff. Nearly two-thirds of parents with children between the ages of 4 and 12 pay their kids an allowance to teach them basic money management lessons, according to a survey from discount website couponcodespro.com. On average, these parents began teaching their kids the value of money at age 3, the survey found. In a similar study two years ago, the American Institute of Certified Public Accountants found about the same percentage of parents using allowance as a teaching tool. But they did not start as early. In that study, kids typically received allowance by age 8. In another study, fund company T. Rowe Price found that 73% of parents talk to their kids regularly about money—and about one in five stepped up the frequency since the financial crisis. 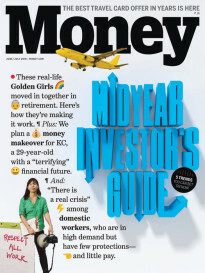 Talking more openly about money inside the household is one of the recession’s silver linings. Many families experienced such a financial blow that they could not avoid the discussion. But even setting aside the recession, starting earlier and talking more frequently makes a lot of sense. In the online world, kids begin making money decisions earlier than previous generations, and when they come of age they will have far fewer safety nets. They need to begin saving with their first paycheck and never stop. The most common money conversations between youngsters and parents revolve around saving in a piggy bank (73%), working for pay around the house (66%), budgeting for things the kids want (57%), and finding bargains at the grocery store (29%), according to the couponcodespro.com survey. The survey also found that the average weekly allowance across the age group was $13.50, which is higher than the often-recommended rate of 50¢ to $1 per week per years since birth. Still, money talk may be beginning to make a difference. In a recent survey of Gen Z teens (aged 13 to 17), Better Homes and Gardens Real Estate found that half say they know more about money than their parents did at their age. Two-thirds attribute their knowledge of money matters to discussions in the home, and two in five credit discussions in school. Three in five have already begun saving. 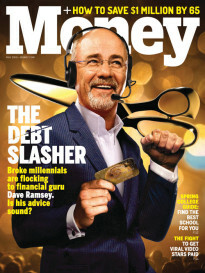 This youngest generation also seems to be managing credit cards more adeptly than their older cousins, the Millennials. These are encouraging trends that, if they persist, will help the economy long term and may just insulate this youngest generation from another crisis.